But she was not Helensburgh-born. A copy of her birth certificate confirmed that her birthplace was Glasgow. 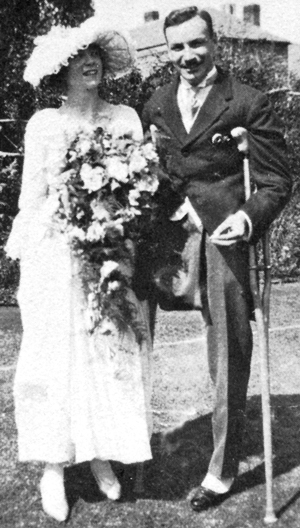 Her parents, Captain Arthur Charles Trimmer and Kathleen Rose Trimmer, nee Smale, who were married at the bride’s home town of Lydney, Gloucestershire, on August 21 1919, were living in Helensburgh at the time. Both were aged 28. The expectant mum was taken to a private nursing home at 7 St James Terrace, Hillhead, Glasgow, where her first child, Deborah Jane Trimmer, was born at 7.40am on September 30 1921, and her father registered the birth in the city on October 21. St James Terrace, in W2, has since been renamed Ruskin Terrace. Her father, known to all as Jack, and mother, known as Col or Colleen, moved to Helensburgh because of Jack’s peacetime work as a civil engineer, and lived for three years with Jack’s parents, Arthur Kerr Trimmer and his wife Mary Jane, at Nithsdale in West King Street. According to her biographer, Eric Braun, Deborah’s first and only memory of her time in the burgh is of being with her grandmother in a horse-drawn cab at the age of two or three, clutching a bright, shiny penny she had been given. Accidentally she dropped the coin, which slid down between the seats of her carriage. When her granny explained that there was no way of recovering the lost treasure, Deborah was inconsolable. Not even the promise of another coin when they got home could stem the tears. 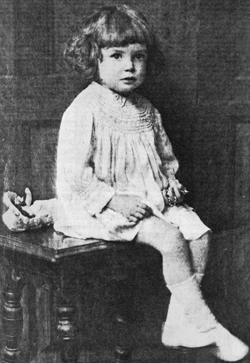 Her parents first met in Lydney early in 1914 and in due course became engaged, but were parted by the First World War. Jack and his brother Ted were sent to Gallipoli with the East Lancashire Regiment, where Ted was eventually killed by a sniper and a wounded Jack was sent home to recover. A machine gun expert, he returned to action in France, but was shot through the right kneecap at the Battle of the Somme. Doctors decided that his leg had to be amputated, and he was so ill that his mother and his fiancée Col were sent for. However the operation was successful, and the long hard road to recovery began. When he was well enough to be repatriated he had to endure further surgery on his upper leg to halt gangrene infection, but eventually he left Roehampton Military Hospital in south-west London, was discharged from the Army, and travelled to the Smale home at Lydney. There he married Col in St Mary’s Parish Church. Jack returned to the Roehampton hospital to learn to walk with an artificial leg, while Col stayed in a nearby hotel and was always on hand to help and encourage. Once he was sufficiently confident, the couple travelled north to Helensburgh to join his parents. His father Arthur worked with Sir William Arrol’s bridge building firm, and Jack took up a post with them as well. When Deborah was two, Arthur decided to retire from civil engineering at the age of 57 and go into business for himself. He bought a small timber haulage firm in Alford, a rural parish on the borders of Surrey and Sussex, near Cranleigh. The plan was that Jack, Col and little Deborah should follow after Jack had worked out his contract with Sir William Arrol, and in 1923 they moved to Ardencaple Quadrant, where homes had been built for those wounded in the war. The following year they moved south to Alford. Deborah was barely three. In 1944 she was in the Clyde area on location, filming 'Perfect Strangers' with actor Roland Culver. She told a story about it in a letter sent in 1990 from her home in Marbella, Spain. 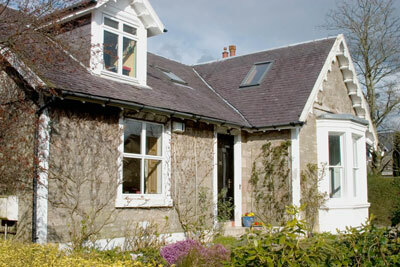 Deborah wrote: "We were sitting on top of a hill overlooking the Clyde, filming a scene. Roland was expressing his adoration and I suddenly felt a tremendous stinging sensation, like pins and needles, on my behind! "It was impossible to stop because the camera was shooting on Mr Culver and I couldn't break the scene. "Finally the scene was over and I leapt to my feet and screamed — I found I had been sitting on an ants nest! Very romantic!" However in December 2011 a former burgh man, Andrew Rook (69), who lives in Bedfordshire, contacted the Trust to say that she had in fact come back twice. Andrew's family lived in the town in 1952-3 and he attended Hermitage School in East Argyle Street while his younger brother was at Clyde Street Primary School. He said: “My mother worked as a housekeeper for Mrs Jane Kirkwood Brown, who lived in a large mansion in Charlotte Street and who had returned with her husband from Ceylon where he worked in the tea industry. “One day she came home from work and was very excited. She said that Deborah Kerr was staying with Mrs Kirkwood Brown and was a relative of hers. “Deborah came to Helensburgh twice during our two years in the town, the first time for five days. Her last visit to Glasgow was in 1990, when she was a member of the international jury at the European Film Awards. 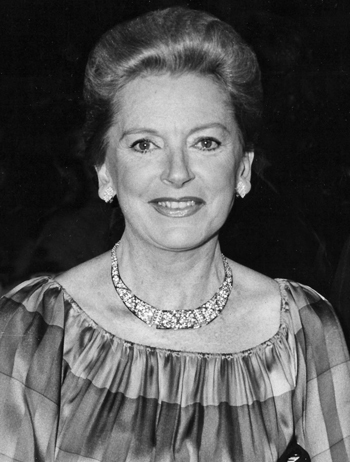 A victim of Parkinson’s disease, Deborah Kerr CBE died peacefully at Botesdale, Suffolk, on Tuesday October 16 2007, a couple of weeks after her 86th birthday. The photos of Deborah aged 4 and of her parents are from the Smale family collection, the main picture is an agency shot of Deborah arriving at an awards dinner in London in the early 1970s, and the picture of Nithsdale is by Donald Fullarton.